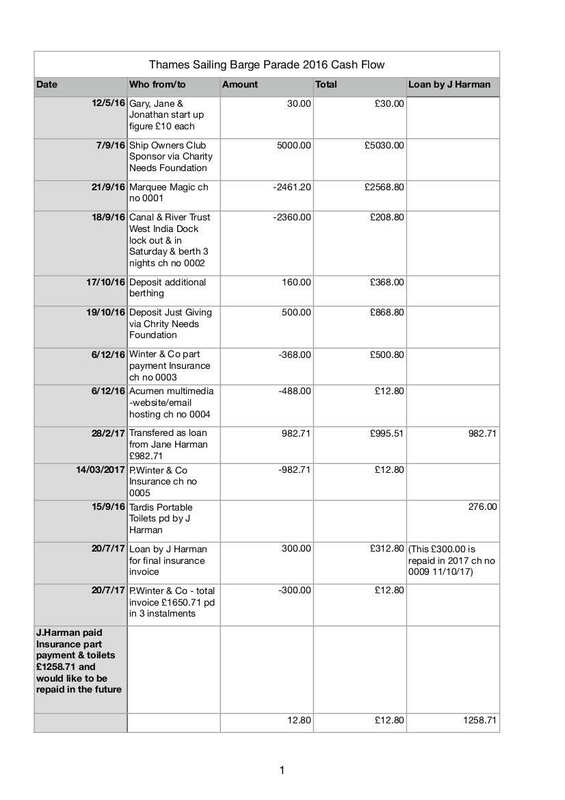 This page contains all files produced for the accounting of all monies collected for Thames Sailing Barge Foundation at the organisation's campaign event Thames Sailing Barge Parade. Thames Sailing Barge Foundation is the organisation that establishes the Thames Sailing Barge Parade as its fundraising and awareness campaign for the community of Thames Sailing Barges. Click on the file icon to view the PDF contents. All files are downloadable for your convenience. These files were prepared by Jane Harman the head organiser of TSBP and part owner (The Harman Consortium) of SB Edme pictured below. 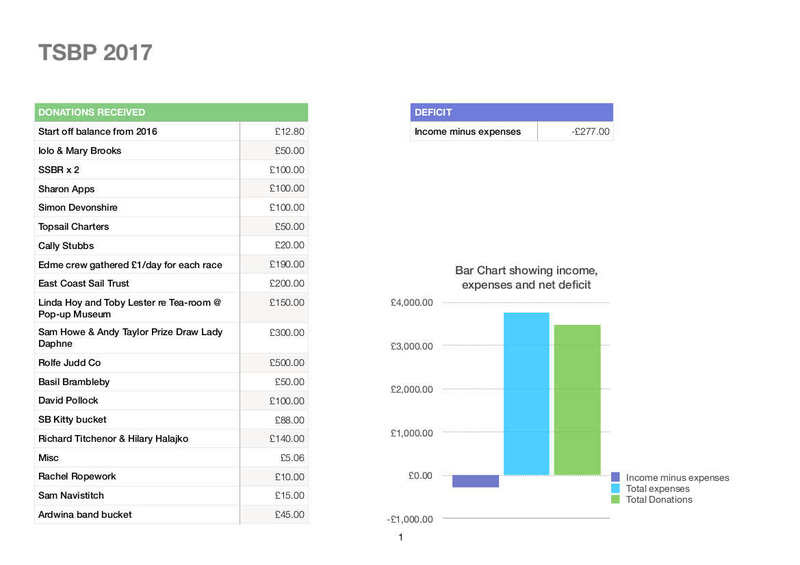 This file contains graphed accounts of the 2017 parade event. This file contains graphed accounts of the 2016 parade event. 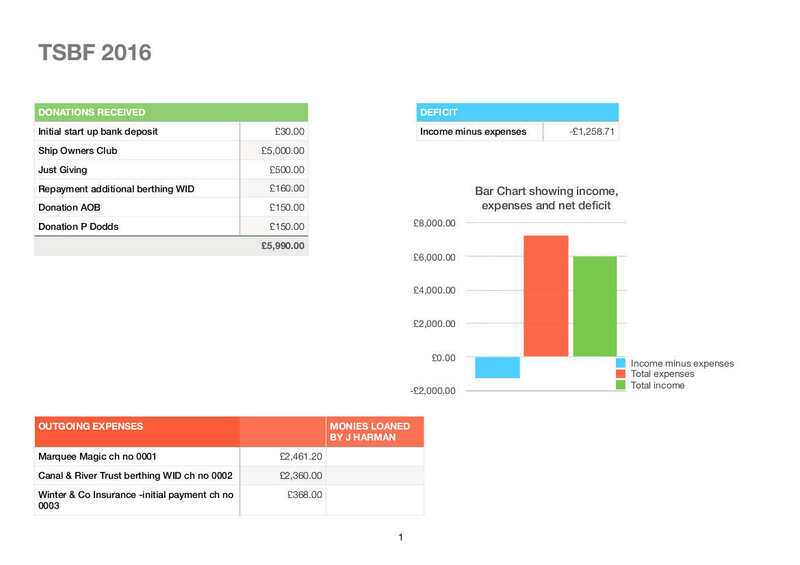 This file contains a detailed breakdown of both 2016 and 2017 in a spreadsheet. 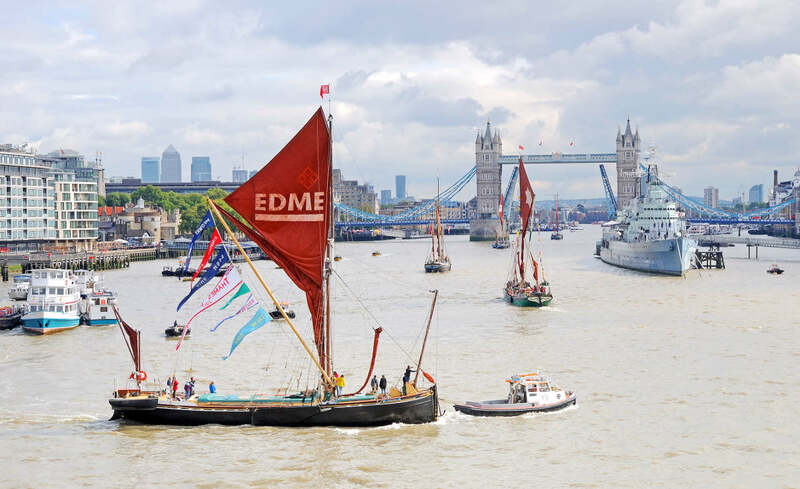 Sailing Barge Edme is the only existing vessel not to have had an engine fitted to meet with modern times. She was present at the 2017 parade and was towed courtesy of tug boat 'Alfie', donated by Livett's Tugs. Copyright © TSBP 2015. All Rights Reserved. TSBP is a Charitable Incorporated Organisation and stands for Thames Sailing Barge Foundation.